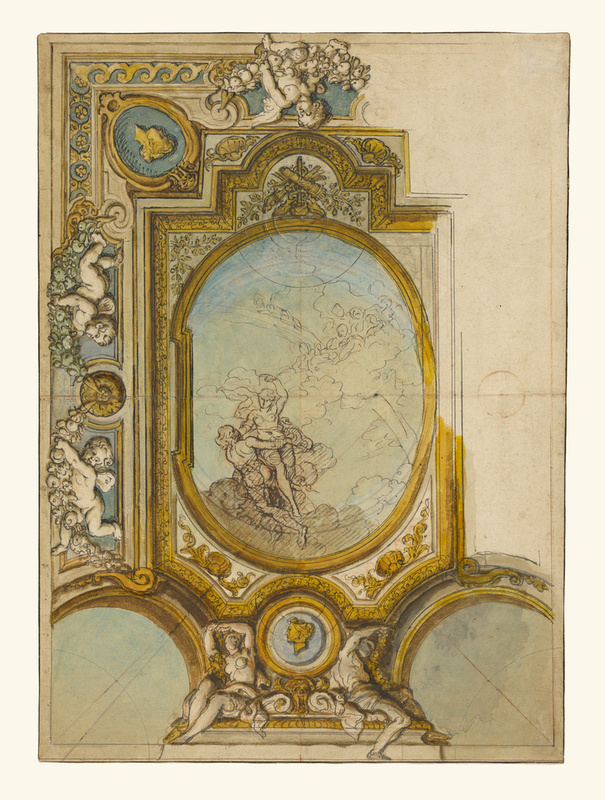 In the central oval of this elaborate design for a ceiling, a loosely sketched couple wrestles among the clouds while other figures watch above them. Charles de la Fosse quickly sketched the central mythological scene but focused most of his attention on the surrounding decoration. Along the border and frame, he showed various options for ornamental motifs that a patron could choose, such as putti holding garlands or draped female figures, portrait medallions or rosettes, and scrolling. 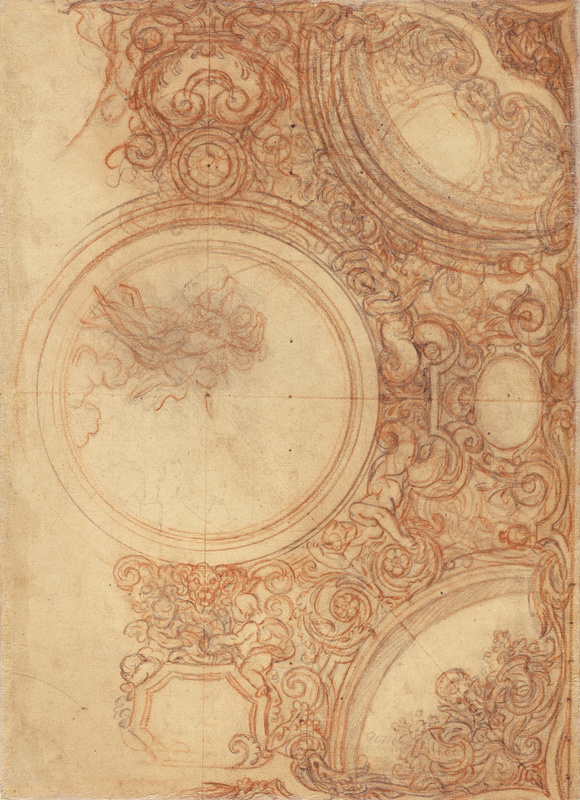 The decoration, once the ceiling was built, would have been symmetrical; this drawing allowed the artist to help the patron understand his or her choices. 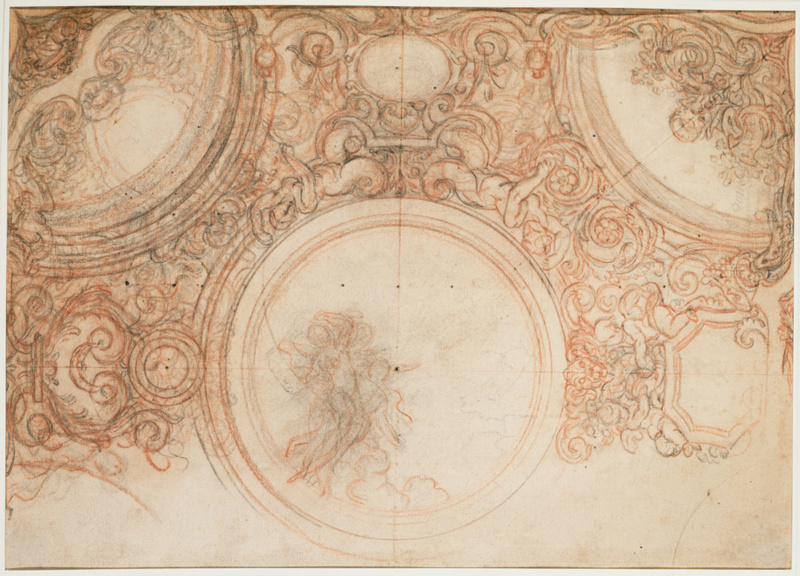 La Fosse used this drawing as a presentation piece for an unknown ceiling decoration project. Although the artist was one of the most fashionable decorative painters in Paris in the late 1600s, most of the private houses and palaces he decorated no longer survive, so scholars do not know whether this design was ever completed.